Felt is a very easy medium to work with when creating kids crafts. It is versatile, doesn’t fray and long-lasting. I have a healthy dose of felt on hand for the kids to create with. 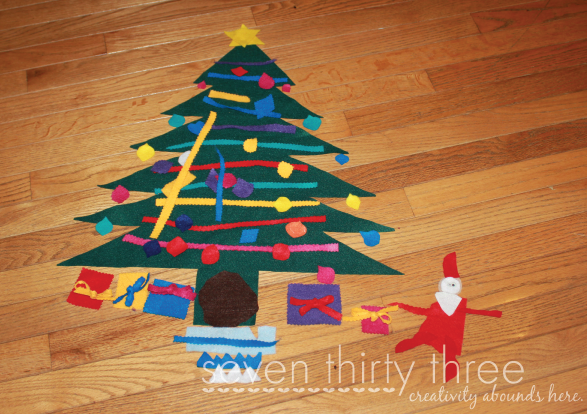 Recently my son wanted to craft, so we created a felt Christmas Tree with all the trimmings. He helped with all of the cutting and was very proud of the end result! Of course a Christmas tree needs presents, so we added several of those as well. This little craft has provided tons of creative play for both of my younger children. They have spent lots of time creating “surprises” for me by decorating the tree in new and fabulous ways. 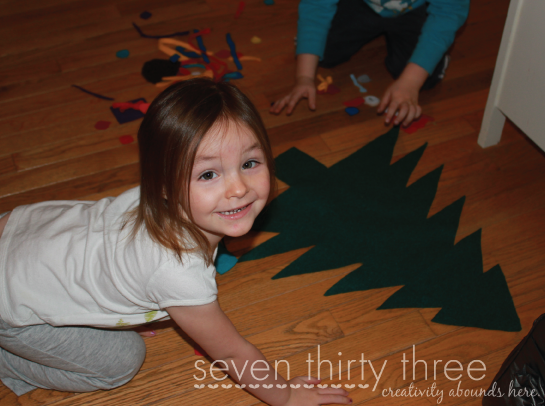 Cut the Christmas tree shape from the green felt. Cut garland, ornaments and gifts from the colorful sheets. And that is literally all you need to do! 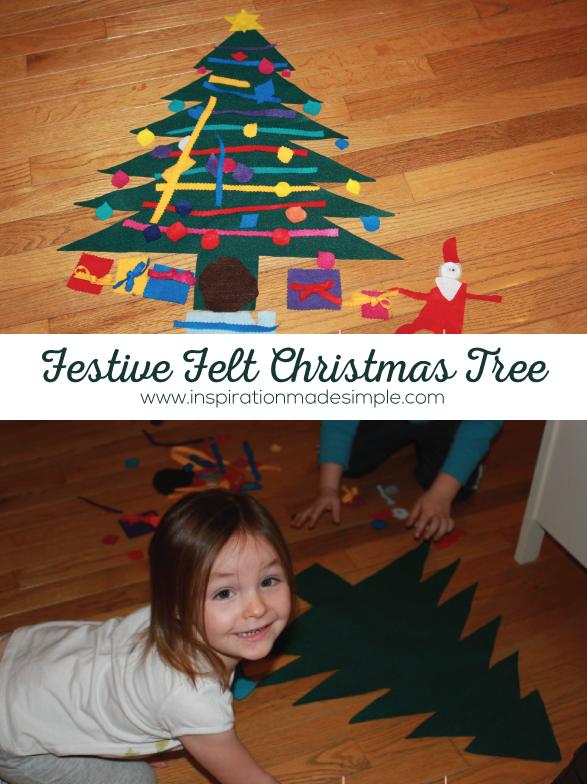 Felt sticks to felt, so lay the tree flat, or hang it on a wall and let the kids have fun decorating their very own tree. When they’re done, take everything of the tree – and start again!